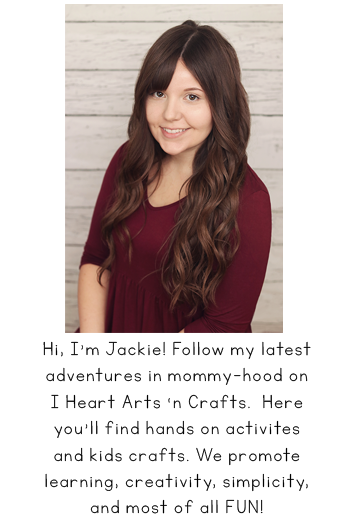 This is a sponsored post written by me on behalf of RoseArt for IZEA. All opinions are 100% mine. The sun is out so that means it’s time for some backyard fun! 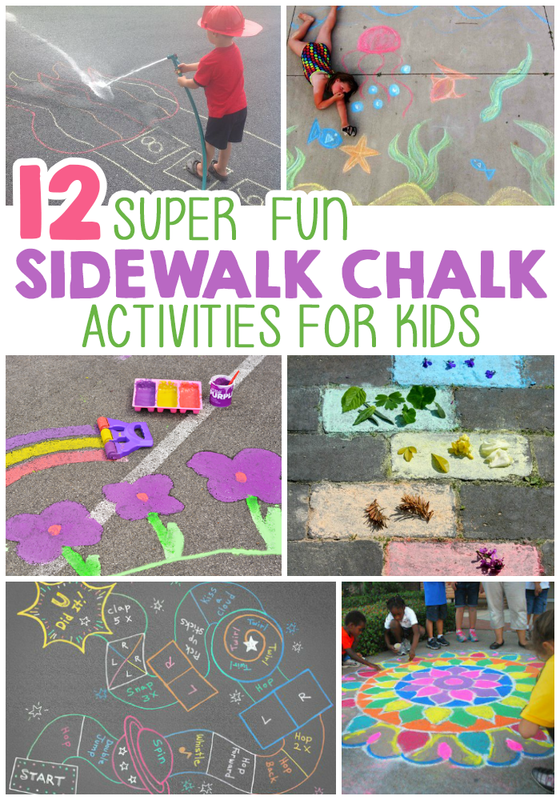 Sidewalk chalk is always at the top of the list and there are so many way’s to play with it. Not to mention that it’s even fun for grown-ups to get in on the drawing fun, too! Our favorite way to play with chalk is with pretend play, making our own life size roads for the kids to drive around on. We like to get the whole family involved in creating the scene for their little city around the roads. This a great activity because the kids love using their imagination for it and it gets them moving! To start I prefer using RoseArt Sidewalk Chalk Paint, because it’s easier to create big art by using brushes instead of chalk sticks. And not to mention the colors dry vibrant and gorgeous! RoseArt Washable Sidewalk Chalk Paint products come in a variety of fun colors: brights, neons (new in 2016) and glitter (new in 2016). Visit RoseArt’s Facebook for more product info. RoseArt’s video They even have different types of accessories like a Spray Painter with stencils and a Roller with a tray. 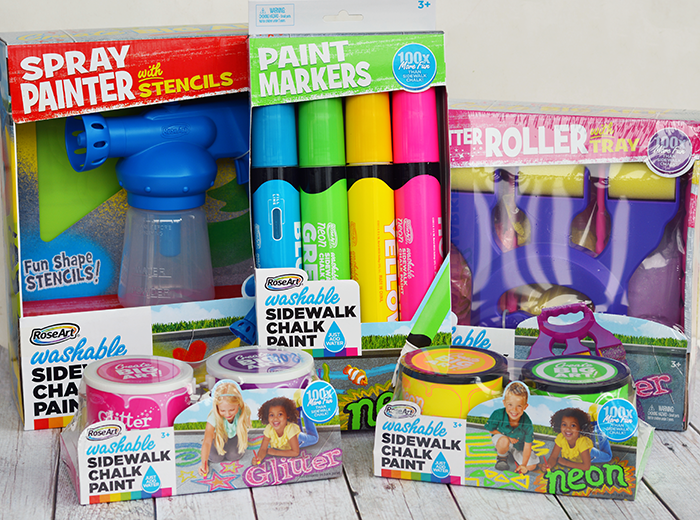 You can purchase RoseArt’s Sidewalk Chalk Paint products at multiple retailers such as: Walmart, Walgreens, Amazon, ToysRUs and Joanns. 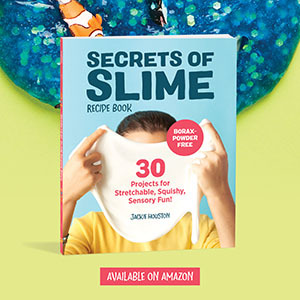 The glitter and neon colors are only limited releases at drugstores, craft stores, and Amazon. Messy play fosters creativity and imagination. Children can gain independence in messy play as they choose the shapes, materials and pictures they want to play with. I like to encourage messy play as much as I can with my kids. As you can see my daughter dives right into the messy play! Chalk covered hands = a happy day! And if you’re worried about the little mess, there’s no need because it’s all washable! 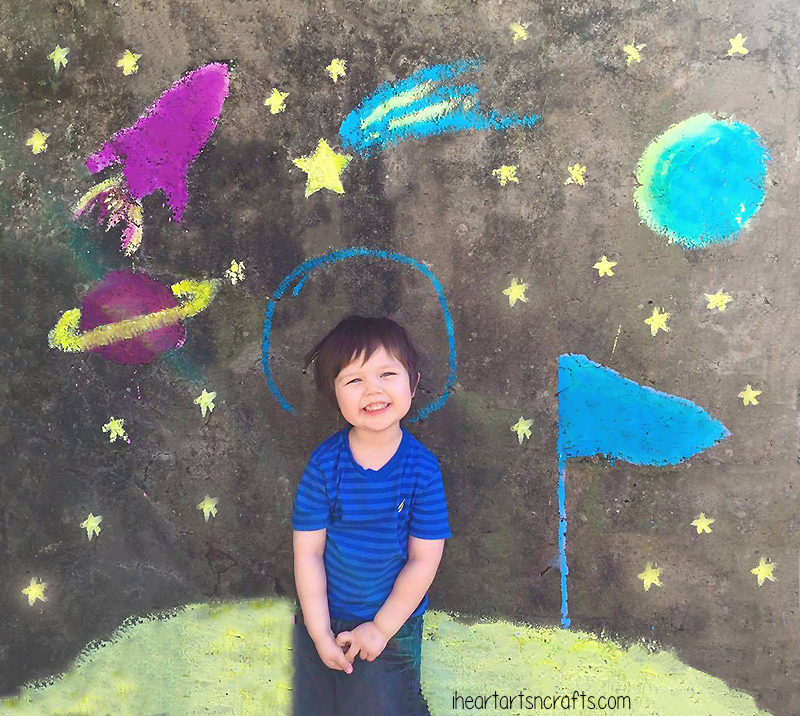 So, grab your RoseArt sidewalk chalk paint and draw in some props, a background, whatever you can think of! Then have the kids use their bikes, push cars, or even race through their own track. 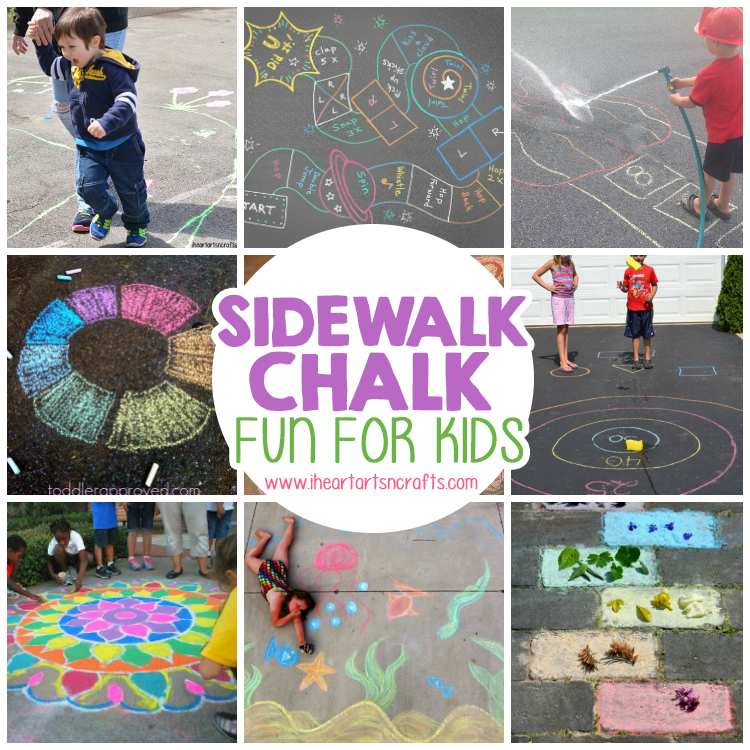 Check out some of our other fun Sidewalk Chalk Ideas below! 3. Simon – Make a life-sized version of the memory game gets your kids outside and moving! 4. Sidewalk Chalk Tennis Court – Fill up your whole driveway with your own court! 5. 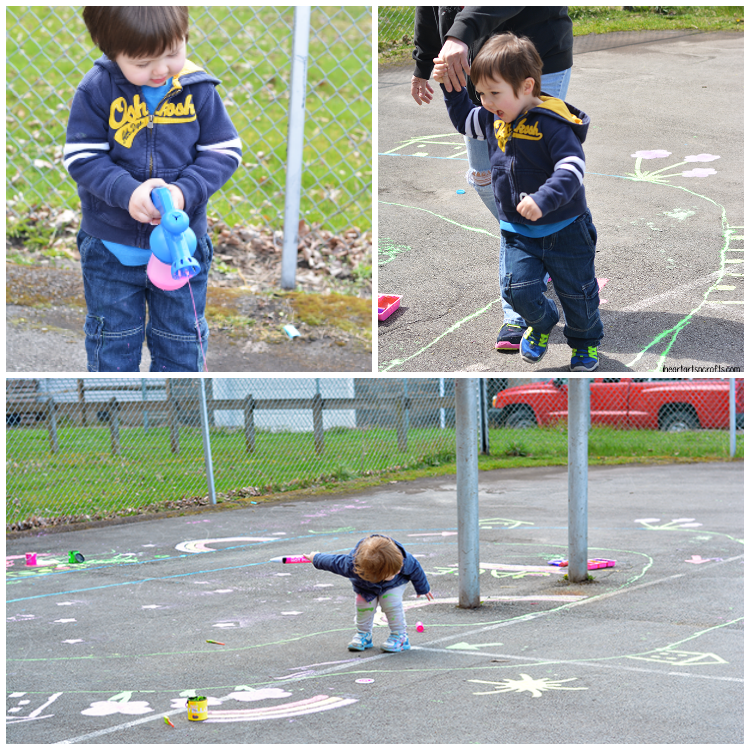 Hopscotch With A Twist – Give your own twist on the classic hopscotch game with twists and your own special instructions. 6. Nature Color Hunt – Enjoy some outdoor learning with a nature color matching game. 7. Rangoli – Make this gorgeous folk art work from India using shapes and chalk. 8. Obstacle Course – Think of some fun activities to include in the squares. Then when your child lands on it they have to act them out! 9. Firefighter Game – Draw a tower with flames on top. Number the windows. Then roll the dice so the kids can practice counting. “Climb” to that number “window”. Use hose to wash away chalk / put out fire. 10. 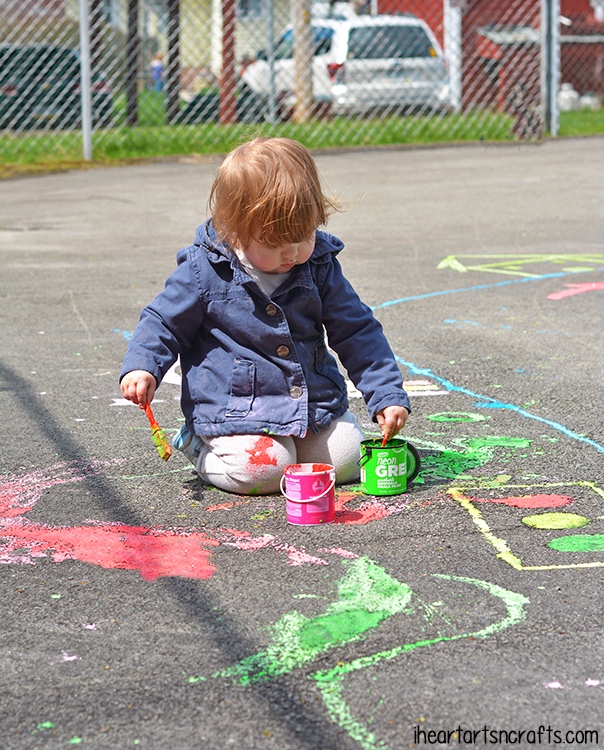 Summer Chalk Photo Ideas – Find a large open space to draw on like your driveway or a basketball court at the playground. Then pick your scene! My husband decided to try out an outer space scene because our oldest wants to be an astronaut. 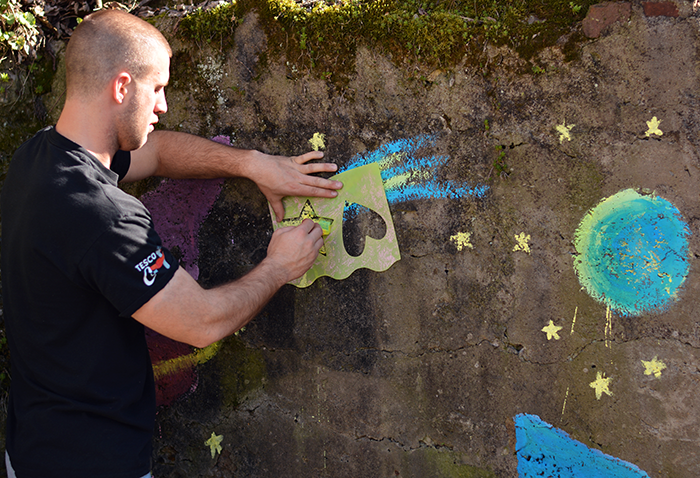 We used some of the stencils that came with the spray painter to create our background. I love how bright the RoseArt Chalk Paint gets even after it’s dried! Then have your child pose and take some pictures! This is a cute idea for a different twist on family photos. 11. 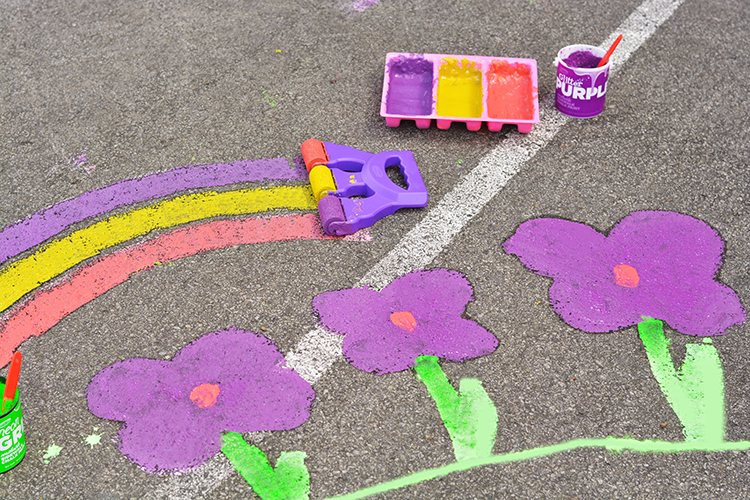 Target Game – Turn your driveway into a fun target game using chalk and sponges. 12. Water The Flowers – An activity that great for learning the alphabet and sounding out words.